One of the best things about the Nintendo Switch is its portability. Breath of the Wild has made many a long train ride more bearable. The Switch’s battery life, though, can’t always keep up. Console-quality games like Wolfenstein 2 are a serious power drain, and when an outlet isn’t available you may have to choose between gunning down Nazis and conserving battery. Thankfully, Anker has you covered with two new Nintendo-certified battery packs, now on sale after a June announcement. The Switch charges via standard USB-C, so any battery pack should do the trick. 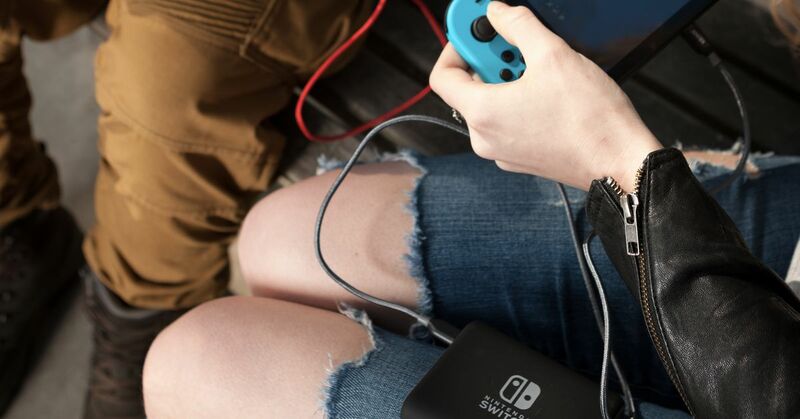 But Anker claims that its new portable chargers, additions to its popular PowerCore line, were specifically calibrated with the Nintendo Switch in mind. The new PowerCore chargers are the only Nintendo-certified portable Switch chargers currently on the market and come embossed with the familiar Switch logo. The PowerCore 20100 Nintendo Switch Edition provides up to an additional 15 hours of playtime on a single charge while the PowerCore 13400 Nintendo Switch Edition will give you an extra 10 hours. According to Anker, either batter pack will fully recharge the Switch in as little as 3.5 hours, without having to pause your game. Both the PowerCore Nintendo Switch Edition battery packs are available at Anker and GameStop. The PowerCore 13400 costs $69.99 and the more powerful PowerCore 20100 goes for $89.99. Quantities are limited, but it appears that GameStop has them in stock now, while Anker’s website still says that it’s taking preorders that will be shipped in August.